Lots of people dismiss Iceland as a family holiday destination, believing it to be mega expensive. For sure, it is not a budget destination and not cheap, but you can have a great time without it costing an arm and a leg. The Icelandic currency, the krona, collapsed in 2008 and this was the key factor in making it affordable. Do lots of research before you go – restaurants and dining out is expensive, but we found the further from the harbour you went, the cheaper the restaurants became. Right up at the top end of the main shopping street are some great little places. Vegamot, Eldsmidjan and Restaurant 73 do fantastic food, all are atmospheric and the prices are so reasonable. Svarta Kaffi is a great lunch spot and place to hang out. Staying in an apartment offered us great value for money. We found our apartment on Sunny Rentals website, but there are also some great places on HomeAway. We had breakfast in the apartment, made packed lunches and then only dined out in the evenings. This can save quite a bit. Also you get loads more space in an apartment for kids to spread out. There is no best time of year to go to Iceland – it really is a year round place. Summer has 24 hours of daylight and lots of festivals and events going on. In winter though, you might just see the Northern Lights. Winter is not as cold as you might think – thanks to the Gulf Stream. BUT it rains a lot, whatever the time of year – I can vouch for that. In May we saw rain most days – some days a lot more than others. Always bring waterproofs! One good thing though, the weather can change in the blink of an eye. It can be cold and wet in the morning, after lunch hot and sunny, you never know. If it’s bad, you normally aren’t stuck with it all day. Everyone speaks perfect English here (put us to shame). Many Icelanders also speak German and Danish too. 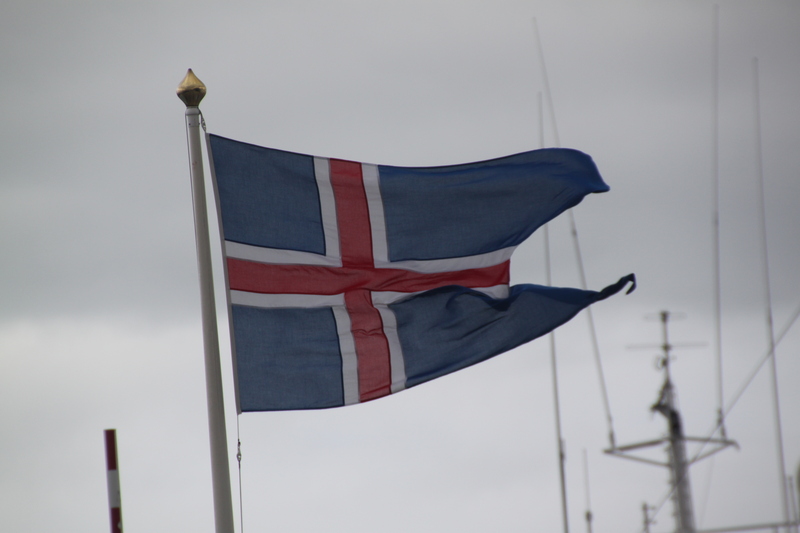 The Icelandic language is still much the same as when the Vikings brought it to the country – Icelanders aim to keep it as pure as possible. Bring sunglasses – it is so bright here, you will definitely need them. The northerly latitude means really bright light, perfect for photos too. Also bring suncream – you definitely need that too. Even if it is not that hot, you easily get burnt here. Be prepared literally for all weathers and watch out for the wind – it is so windy in Reykjavik. Take care – this is not a nanny state – I found this so refreshing. There are no warning signs, not too many fences and other such things at the edges of waterfalls, geysers etc.. It just takes a bit of common sense and a closer eye on children. Make sure you don’t stand downwind of the geysers too. It is nice not to be nannied though.